New charges have been filed against two Petersburg teenagers accused of hitting deer with their vehicle this winter. The case involves 17-year-old Sebastian Davis and 17-year-old Jasmine Ohmer who allegedly hit deer with Davis’ truck in February. Ohmer recorded it on video and posted it on the social media app Snapchat. The video shows the vehicle approaching and then hitting two deer. Ohmer is heard laughing and Davis is heard saying that they got two of them. It takes place in a residential neighborhood in Petersburg. Alaska State Wildlife Troopers investigated and the State of Alaska charged each of the teens with harassing game. Davis was additionally charged for reckless driving, all misdemeanors. On Monday, the State of Alaska filed two additional charges against the teenagers: one count each of unlawfully taking game from a motorized vehicle and two counts each of failing to notify state troopers after colliding with the deer, all misdemeanors. The new charges stem from the State of Alaska changing prosecutors. 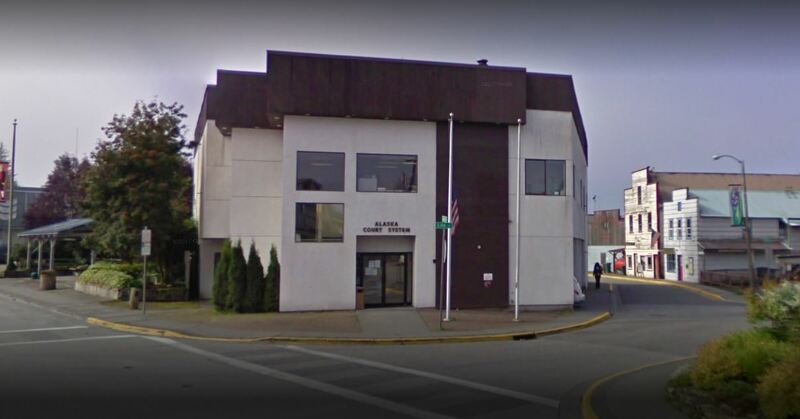 The case moved from the District Attorney’s Office in Sitka to the Special Prosecutions Office in Anchorage. Assistant Attorney General Aaron Peterson is the new prosecutor. The teens each have their own lawyers representing them. When Davis and Ohmer were initially questioned by Troopers, the teenagers said they were trying to scare the deer for fun and weren’t trying to hit the deer. They admitted to hitting a third deer the night before when Ohmer was driving. They say the deer jumped out in front of their truck. Troopers found deer hair on the truck and a broken headlight on the driver’s side. The teens say none of the deer died from what they saw. They say the two deer they hit in the video ran off into a yard. They say the third deer lay down in the road and then got up and walked towards the beach. The arraignment on the new charges is set for April 23 at 3:30 p.m. at the Petersburg Courthouse.